Go Green Global Campaign: Action on Climate Change! Earth Guardians Uganda and AFOGWAD's Go Green Global Campaign: They need our support to get this awesome project going! In North and North Eastern Uganda families are going by a single accidental and miraculous meal a day, children are being deprived of the basic human rights to eating good food and education. There is reduced and unpredictably low crop productivity, and youth are attributing agriculture to work of the poor or the last resort work after failing in other fields. Families are unable to afford a pencil or a book so their children may to go to school. These issues describe the situation of the majority of young people, families and communities in my region of North and North Eastern Uganda; including my family! This is because about 75% of the families in this region solely depend on agriculture as the major source of their sustenance. And it’s this agriculture which is negatively being impacted by the change in the climate. The evidenced is in unpredictable weather seasons characterized by prolonged dry spells with increasing heat intensity and once in a while rain storms that always cause flooding, hence food insecurity, poverty, illiteracy and family conflicts. I've drawn these observations from my real life experience; primarily my family that depends on agriculture as the major source of sustenance. In 2011, when I was still in high school, I encountered the worst time at school. This was because I never had sufficient money for books and teachers tossed me to all corners as I could no longer complete paying my school fees in time. That year, my family had the worst ever output of our crop as my region experienced the longest and most intense climate change related dry spell. Last year 2015, my university refused to let me sit for any more exams because I hadn’t completed the payment of my tuition, causing me to drop out at my bachelor level in my second year. Due to low crop output, my family could no longer afford my tuition as well as four of my sisters. The need to save my fellow young people and their families from similar experiences, provoked me to initiate a climate campaign called Go Green Global Campaign! Our Objective: To inspire more young people to create awareness on climate change by clearly defining its causes, impacts to the community and empowering them to take up different mitigation and relevant adaptation strategies. Our goal: Changing the attitudes of the young people by raising their passions towards loving and fighting for a greener, healthy, just and sustainable planet so as to empower them to take up different climate change mitigation and adaptation initiatives. Inspiring a generation of socially young agro-preneurs, leaders and entrepreneurs who are conscious about their environment. In this campaign, we task inspired, mentored and empowered young people to also inspire, mentor and empower their communities to fight against climate change now—not tomorrow or next year, but today. This campaign is being carried out in young people’s communities like schools, colleges and tertiary institutions by some very inspired and passionate young people on a voluntary basis. (i) Help in easy mobilization and organization of students for any climate action activities that they will be involved in. (i) Training and speeches from some very inspirational fellow young role model team of mentors. (ii) Involvement of Go Green Club members in simulation arts like drama, debate, music, poetry, fine arts, games and sports which are all driven to present climate change sciences in fun, easy to understand ways, provoking young people of all ages to take climate action now. Creating a tree nursery bed for each of these schools: By involving Go Green Club members in raising up young trees to be planted in their school gardens, distributed among the members, and surplus donated to the surrounding community or even sold by members at very affordable prices to the surrounding communities. This emphasizes to them, the urgent need to plant, protect, preserve and conserve more trees now as well as mitigate climate change as social entrepreneurs. Training and involving Go Green Club members in the construction of some energy saving cooking stoves; like, charcoal saving stoves and bio-gas. This allows club members to construct these stoves on their own and sell as many as possible that can be sold at very subsidized prices to the surrounding communities. This emphasizes to them the need to adapt to some of the efficient and effective energy sources and also to fight climate change as social entrepreneurs by empowering their communities into the best adaptations possible. This equips and empowers them with waste management skills. The aim is teaching them the difference between decomposable and non-decomposable waste materials, and how they bring about climate change. Involving Go Green Club members in setting up climate smart agro-business school demonstration farms: like vegetable growing (horticulture), poultry, fruits farms, etc. and agro-forestry. They would use the earnings from subsidized sale of their own raised young trees and construction of energy saving cooking stoves for their community as sources of start-up capital.. This is to allow them get the idea of mitigating climate change as social entrepreneurs and adapting to it as agro-preneurs. By doing this, our region of northern Uganda can be in a position to fight food insecurity, poverty, illiteracy and family conflicts, as there will be sustainable food sources and money to fight all these challenges. One on one back home: The Go Green Global Campaign! believes in exponential sustainable empowerment and development. So each student inspired and empowered to fight climate change from each school's Go Green Club, is expected to also go inspire and empower his/her community to fight climate change too! And this is how the campaign tends to grow its sustainability trend, including the personal touch of each of the student’s understanding about climate change from what they've learned. (i) About 500 young people have been trained on how to tackle climate crisis by using different mitigating and adaptation strategies. 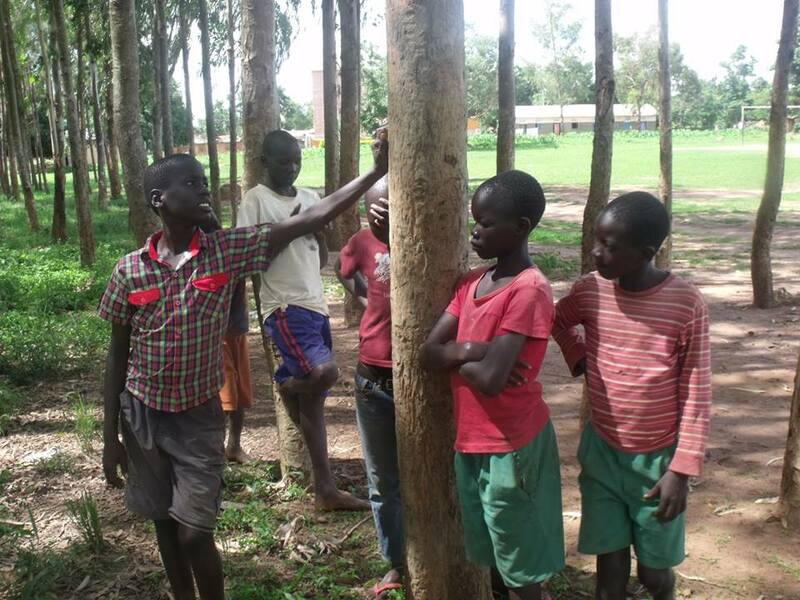 (ii) 10 out of about 500 students and pupils reached, initiated their own tree nursery beds to raise young seedlings of trees to be planted in their communities. (iii) An estimate of about 2500 varieties of young seedlings of trees have been planted by these highly inspired young people to combat climate change. (iv) About 15 out of these 500 students and pupils have initiated some adaptation strategies, and these include poultry keeping, goat keeping and fruit farming. (v) 10 out of about 500 young people we reached in schools started their own tree nursery beds. Out of these initiatives, they raise and sell young seedlings of trees like mangoes, musisi, oranges, at cheaper prices to the surrounding community as a way of advocating to them the need to plant and protect more trees now. The little money they each generate out of this, has empowered them to start-up and adapt to climate smart agribusinesses like; poultry keeping, goat keeping and fruit farming. 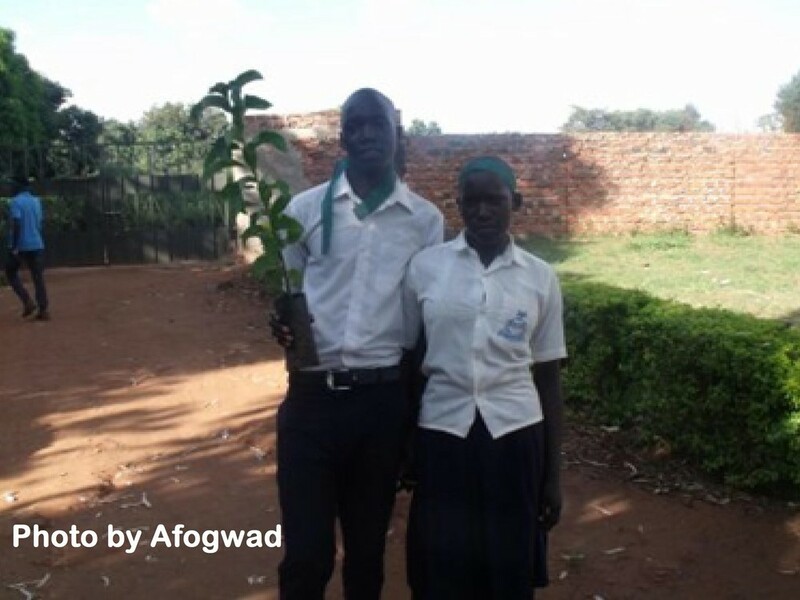 Also a pupil named Odongo Joshua from Erute P/S in Lira district is paying his school fees just from initiating a simple tree nursery bed at their home in Tee Obwolo village in Adekokwok sub-county! This is exactly how we train them to be socially responsible leaders and entrepreneurs in their communities. To download the pilot test report on this campaign, please link to http://afogwad.weebly.com/go-green.html. Our wish: To inspire and empower many more fellow young people like Odongo Joshua whose family cannot afford even a pencil, a book, schools fees or tuition due to climate change, to adapt to and mitigate it. Hence saving many more fellow young people from experiencing what my family and I have experienced. To donate to support this campaign and help take it to the next level of effectiveness, please link to our Action Connected social media page here https://www.actionconnected.com/project/18.